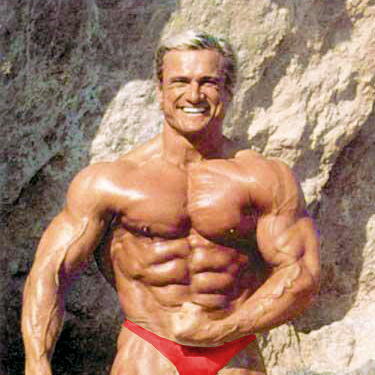 Born in Ft. Sill, Oklahoma on June 26, 1955, Tom Platz caught the bodybuilding bug from a magazine at the tender age of nine years old and he began competing at the 1973 Mr. Adonis competition. His bodybuilding career continued until he retired as a Pro in 1986, including a string of top ten finishes at the Mr. Olympia. In 1995, he made a comeback and was given an Honorary Mr. America title. Tom is renowned as one of the athletes who trained at Gold’s Gym during the Golden Era of bodybuilding in Southern California. 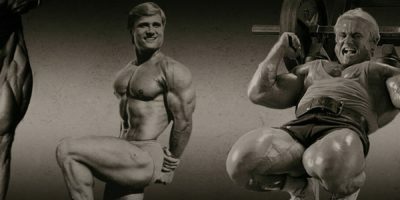 Tom Platz pioneered a high-intensity, high-volume training regimen – reviving the squat as a foundation exercise – in a way that continues to inspire bodybuilders today. He never counted reps and sets, but many captured them in photos, videos and articles. His “5-More-Reps” mentality made him the most intense bodybuilder in his day and even in current standards of bodybuilding. Today, Tom has become one of the most sought-after speakers in the world of bodybuilding, nutrition and general fitness. ‘Tom Platz World Tours’ offer Motivation Seminars and Squat Clinics, promoting bodybuilding and reminding his fans worldwide that camaraderie, personal growth and love of the sport is what bodybuilding is all about. Tom Platz continues to hold the title of Best Legs in professional bodybuilding.